Help your child prepare a “welcome home” for the birds next spring with this fun DIY craft – making a birdhouse from an empty eggnog or milk carton. This project requires saving in advance some empty eggnog, milk or juice cardboard cartons. Use a half-gallon size for a roomier abode. After the carton is empty, wash it well with soapy water, drain, and dry thoroughly. If the carton has a pouring spout, be sure to save the cap; it’s a good idea to keep extra, pre-cleaned cartons on hand, just in case. Until recently, writing a letter – handwritten or typed – was a primary way for keeping in touch with loved ones, or even anybody. Today’s advancements in communications technology provide many other ways to do so, which unfortunately has meant that writing a letter sometimes falls by the wayside. Nevertheless, writing a letter still has its place and its advantages, including showing that one knows how to show politeness, respect, appropriate etiquette, knowledge and education, and/or warmth and especial regard for a person. Sometimes writing a letter still can make a difference in social circles and in landing a new job. Do your kids know how to write a letter? 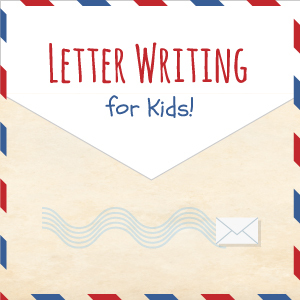 Our accompanying infographic breaks down the components of letter-writing for kids, including the five parts of a friendly letter and how to address an envelope. Year-end holiday celebrations may involve traditions specific to your family or town or region or country. They provide a wonderful opportunity for teaching children about their heritage – and about holiday traditions around the world. 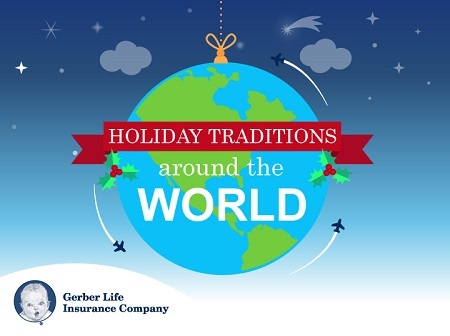 Flip through the following images with your child for a glimpse of some holiday traditions in other parts of the globe. 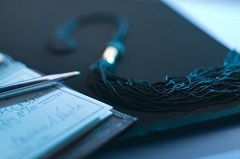 The Gerber Life College Plan vs. 529 Plans: Which one makes the most sense for your family? Preparing for a child’s future is usually a top parental priority. With the price of a college education continuing to rise, many parents are looking for ways to help pay for their children’s college tuition. What are the options? Several are available. Finding the option that best suits your family’s needs may seem daunting, as some people find. The early years of your child’s life offer a great opportunity to begin some basic financial planning to help tackle the future cost burden of education. Cuts, scratches and scrapes are a typical part of growing up. A quick clean-up, a bandage, and a kiss from Mom frequently suffice to make everything better. Sometimes, however, a cut or scrape may become infected and, if not treated appropriately, could worsen and lead to an infection. A Staph infection, for example, can occur when an open wound is exposed to Staph bacteria – a bacteria found on the skin or in the nose of about a third of the population, according to The Mayo Clinic. Staph bacteria, the most common cause of skin infections in the United States, explains the Centers for Disease Control and Prevention (CDC), can cause minor infections such as boils and pimples, which are usually treated without antibiotics. A more serious Staph infection may require an antibiotics regimen in order to rid the body of the infection. If you think that your child may have a Staph infection, consult your child’s pediatrician, who can advise if treatment requires antibiotics.